Proactive and preventative checks boost productivity and security. NexLynx RemoteMonitoring provides a substantial improvement over conventional IT support which means you can rest assured that your servers, workstations and laptops are in business-ready condition. Our proactive, preventative Daily Health Checks and Around-the-Clock Critical Systems Monitoring will check and monitor key components of your systems, alerting our Support Team to problem conditions, rather than waiting for you to notice a system problem or failure. We&apos;ll almost always know about an issue before you do, so it can be fixed quickly, minimizing your business disruption. And we�ll keep you up-to-date on your system health with alerts and summary reports sent directly to you for your review. Rest easy knowing your Antivirus is always up-to-date, your disks are in good health and Event logs are checked daily. Verify your daily backups have completed, making sure your data is safe. Key systems reviewed each and every day means your systems are in peak health. Specific, informative alerts with the exact nature of the problem, allowing our Support Team to fix it faster. Reduce downtime. Increase productivity in the office. NexLynx�s Daily Health Check conducts thorough checks each and every morning to ensure your systems are in peak condition and functioning correctly without errors. Your systems are unique to your business � that is why our Daily Health and Safety Checks are selected and customized to your systems and requirements. Checks that your antivirus is up-to-date, to make sure you&apos;re protected. Checks that your Windows Services (the bedrock of your computer&apos;s operating system) are operating properly. Looks for unauthorized log-in attempts and determines whether someone has been trying to hack into your systems. Checks to ensure you have adequate disk space remaining. Running out of disk space can cause your computer to crash and involves lengthy delays. Checks that your disks are healthy and there are no integrity issues. Reviews Critical Event log entries and issues. Removal of temporary Files. Over time, temporary files can slow down your system and cause software errors. Checks Outlook PST Data File size. When the PST file gets too large, it will cause problems with the functionality of Outlook. While the Daily Health Checks help prevent big disasters, our Critical Systems Monitoring provides an extra level of monitoring of critical systems. Running every 15 minutes for servers and every 60 minutes for workstations these checks monitor key components of the system that will affect their operation and performance. We�ll see the true nature of the problem � so we can fix it faster � and radically boost your overall uptime. Your system is unique to your business � that is why our Critical System Monitoring is customized to your systems and requirements. Check that your server is up and running. Check that you can connect to the internet. Check any or all of your Windows Services, vital components of your server�s operating system. 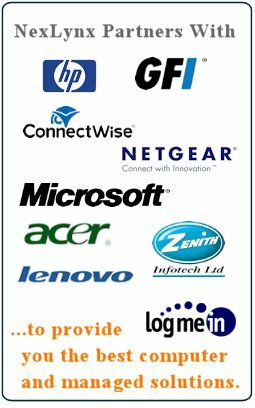 Ping various network devices or remote offices that you need to do your work. Check TCP ports on your network, on other networks or at your ISP. If any of these ports are failing to respond, you may be unable to connect and do your job. Check disk space to ensure your systems are able to function properly. Check RAID devices to ensure that all disks are functioning correctly and data is safe. Check your website to ensure it&apos;s up and running and serving your customers. Check other network devices using SNMP. It&apos;s important you&apos;re always up-to-date on the condition of your systems. At the start of each day we can send you consolidated reports summarizing the status of all your monitored systems. When any new problem is discovered by our monitoring agent we&apos;ll instantly alert you via email allowing you to easily create a support ticket. Instant Alerts � sent when a problem is discovered to our Support Team and your designated contact showing the cause of the problem, resulting in a rapid and accurate response. Each alert is categorized by our Support Team as Critical or Non-Critical. Daily Health Reports - provides a one-page summary showing the state of your monitored systems. You�ll be assured that we&apos;re checking your systems each and every morning. Weekly Health Reports - summarizes each day&apos;s Health Checks into one easy-to-read health analysis report and delivers it once a week revealing developing issues. Monthly Client Reports - comprehensive reports showing trends and highlight issues experienced during the month, provides details about outages and full color graphs. You&apos;ll see what parts of your network are causing downtime. Together, we can address these issues and improve your systems&apos; availability. How Discovered Problems are Resolved? It&apos;s important to you and NexLynx that your systems are operating in peak condition and functioning correctly, minimizing downtime and disruptions to your business. Critical Alert - A support ticket will be created by our Support Team; your designated contact will be notified via email. Our Support Team will automatically proceed with fixing the problem. You can track resolution through our Support Portal. Non-Critical Alert - Non-Critical issues will not be automatically repaired. Your designated contact will be notified via email, they are required to simply reply to the message automatically creating a support ticket authorizing the repairs. The support ticket resolution can be track through our Support Portal. 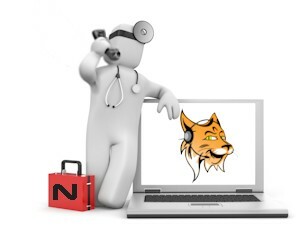 Break/Fix Clients - Repairs are not included in the NexLynx RemoteMonitoring monthly fees. Any repairs performed will be invoiced at our current Consulting Services hourly rate. It takes just 10 minutes for the monitoring agent to be installed remotely, no need for a technician to visit. Contact NexLynx Sales to find out more.